Im getting ready for a trip to the Phillipines for a couple of weeks. My gf and i are planning to go to some small islands between Palawan and Coron. No electricity type of area. But i still want power for my phone and camera. I took a trip to REI . After looking into several solar powered options. A Solio , a PowerMonkey , and a few other options i ended up with a Horizon MiniPak. Which is a handheld USB battery charged via a Hydrogen Fuel Cell reactor !! Dont worry ive never heard of it either until i saw it. But consumer fuel cell tech is something i have been reading about for awhile (first came across in my grandfathers electro chemistry text books) , but until now have not come face to face with this tech. Of course i couldn't pass up trying it out. So i got one. And at a great price. Full price these things cost $149. and each additional hydrostick costs $29 (i got one for $5). After some Googling i found out that Horizon Fuel Cell the company bills itself as the worlds largest provider of hydrogen fuel cells from large to small ones. What i got for my trip to the Phillipines was a Horizon Minipak. 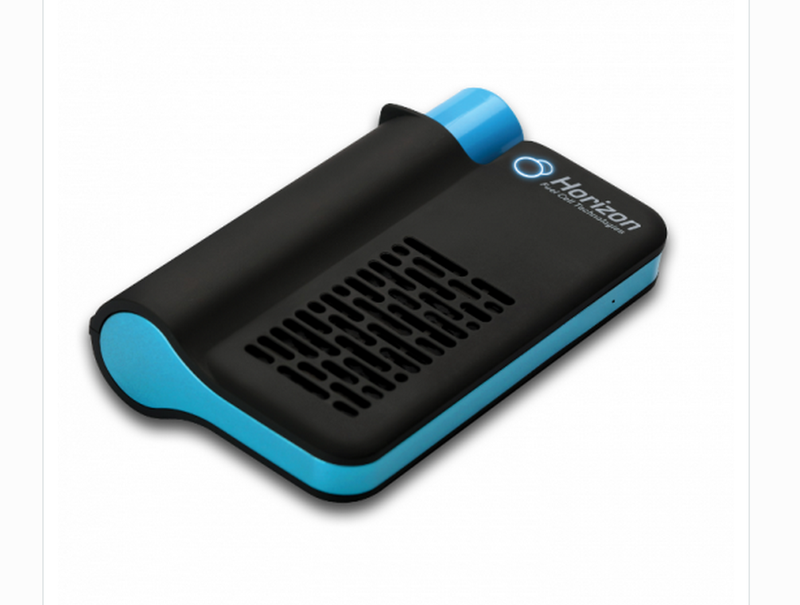 Its a smallish handheld USB charger, powered from Hydrogen fuel cells. Each Hydrostick (a fat battery filled with hydrogen in a stable hydride (metal + hydrogen) can hold up to 2 charges of a smartphone. The buy product is heat and water vapor. There is also another version for hikers that is marketed as more rugged, and comes with bigger cartridges. Its called the Brunton Hydrogen REactor. Check out Brunton.com to see it. Wired.com called it vaporware in this post right here, but now you can buy them in REI. Not sure yet if these things will catch on , but definitely an interesting option to try out. stay tuned for reports on how my experience with the Horizon MiniPak turns out.